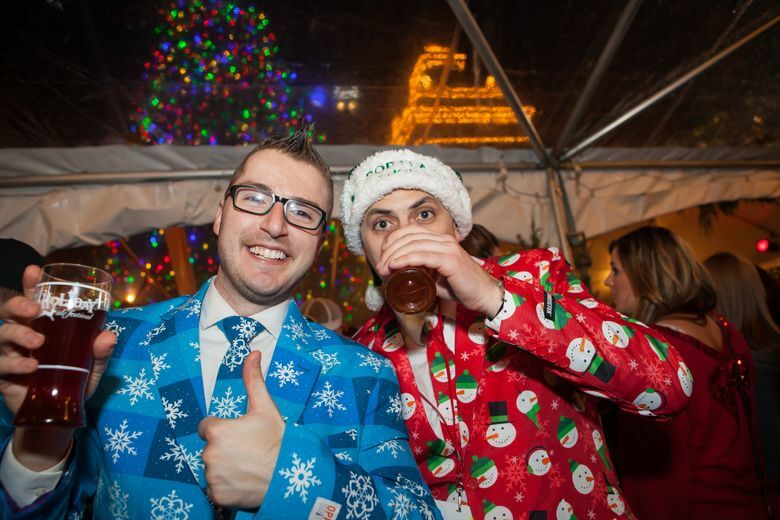 • Nov. 29-Dec. 3, catch the 21st annual Holiday Ale Festival at Portland’s Pioneer Courthouse Square, in the heart of downtown. Sample from more than 50 local craft beers and ciders, all unique to the festival, ranging from Ancestry Brewing’s Horchata Winter Stout (with cinnamon, vanilla bean, nutmeg and lactose sugar to balance and spice the roast and chocolate malts from a classic oatmeal stout recipe) to Wayfinder Beer’s Rotorvator Doppelbock. $35 general admission covers all five days; holidayale.com. • Ciderfest on Dec. 9 will not only let you sample the wares of 15 cideries, but you can also make the holiday season special for a child in need. $10 buys five tasting tickets and a Ciderfest glass. Every unwrapped toy donated for Toys for Tots gets you an additional five cider-tasting tickets; theeastburn.com. 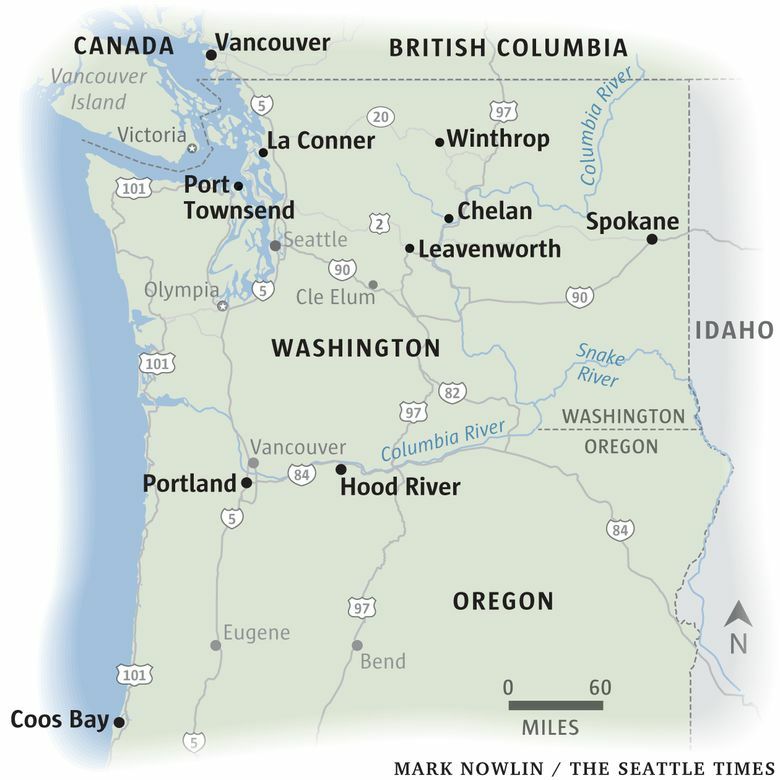 Just down the road from Mount Hood, Hood River offers a beautiful view of the Columbia River and outdoor recreation to fit any enthusiast’s needs. 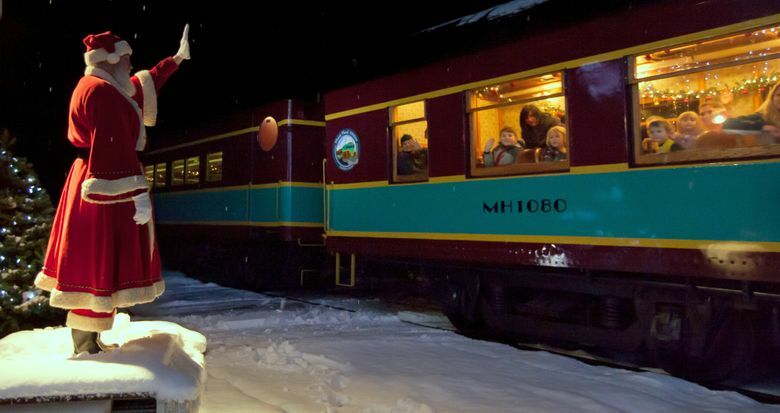 With its scenic and often snowy environment bound to make anyone crave hot chocolate, the Mount Hood Railroad has just the experience. Based on the book with the same name, “The Train to Christmas Town” re-creates the holiday enchantment with book characters, Santa Claus, elves and all. A 70-minute train ride immerses you in the story, while taking you by Hood River, scenic fruit orchards and vineyards, and providing the Christmas vibe — including hot chocolate. This new winter event premiered Nov. 18 and continues to Dec. 28. Standard tickets are $37-$47, premium fares go up from there; mthoodrr.com. There is no denying, La Conner is gorgeous, located on the Salish Sea’s Swinomish Channel. On your drive across the Skagit Valley, enjoy views of migratory snow geese and snowy Mount Baker. This holiday season, La Conner will light up the channel with its annual boat parade on Dec. 9. 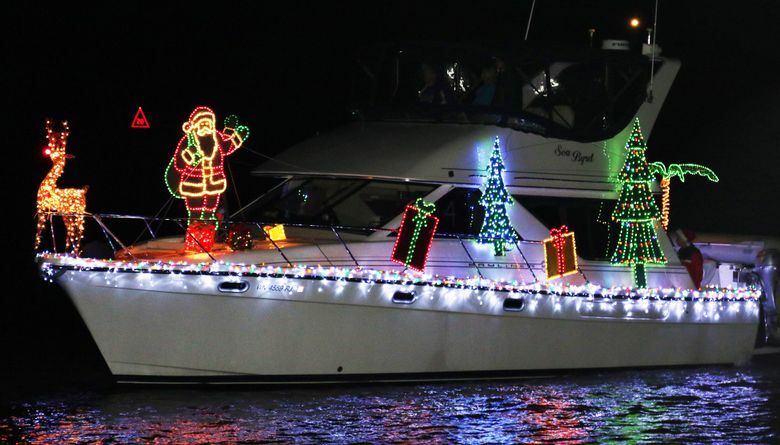 Watch from the waterfront boardwalk (or a local restaurant) as boats covered in lights glide across the water. If you’ve never visited this Bavarian-themed village east of Stevens Pass, then seeing Leavenworth during its annual Christmas Lighting Festival is just the thing to add to your holiday list this year. Every Saturday and Sunday for the first three weekends of December, witness a special lighting ceremony at 4:30 p.m. as Leavenworth bursts into the holiday spirit with lights, caroling and snow. Can’t make it on a weekend? No problem, Leavenworth leaves the lights on all week. The park alone has more than a half-million lights. You’ll find plenty of restaurants and food to fit the theme, but with limited lodging, plan ahead. 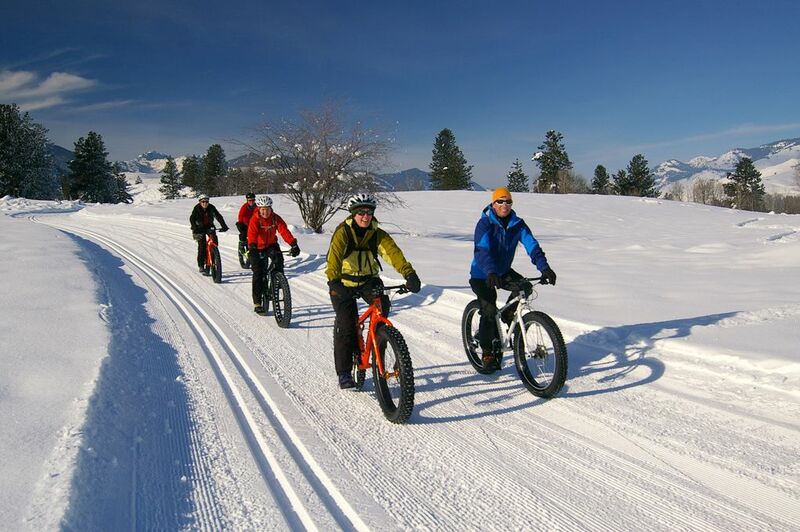 Last year as many as 30,000 people visited the first two weekends of December; leavenworth.org. Grouse Mountain, overlooking the city, not only offers some of the best slopes to ski and snowboard this winter, but will transport you in spirit straight to the North Pole with its “Peak of Christmas” event. 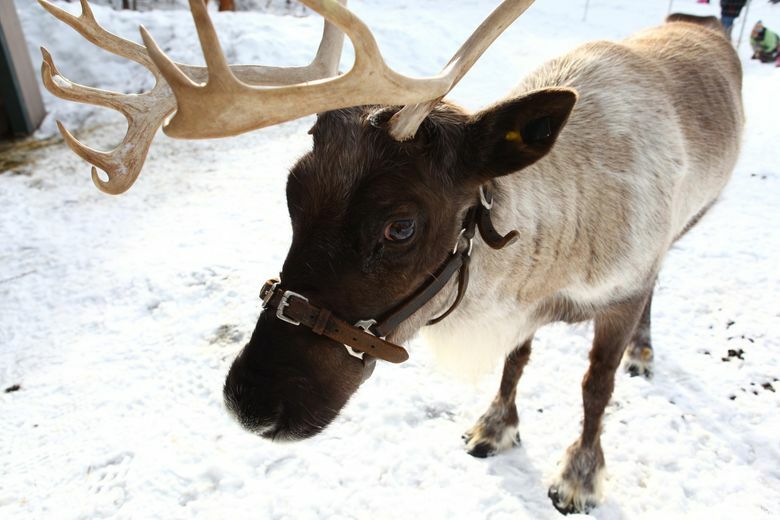 From Nov. 24 through Jan. 7, you’ll find ice skating, nighttime lights, sleigh rides, sledding hills, a Santa’s workshop, and even an up-close-and-personal meeting with Santa’s reindeer. Tickets, including a gondola ride up the mountain, are $15.95-$44.95 (family rates, too); grousemountain.com. 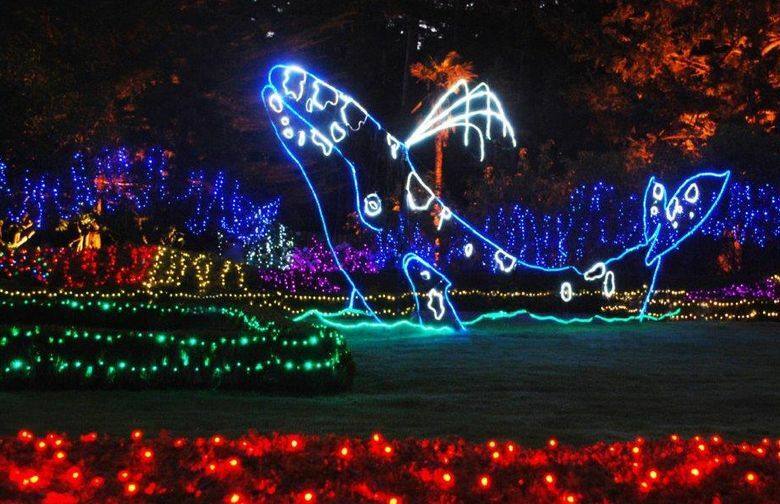 On the Oregon coast, Coos Bay lights up the holidays Nov. 23 through Dec. 31 at Shore Acres State Park, with hundreds of thousands of lights in the shape of 50 handmade, marine-themed sculptures, such as whales, pelicans and a lighthouse. The light sculptures have the backdrop of crashing ocean waves, so dress warmly. There’s live entertainment at the park’s pavilion, plus coffee and hot cider. There’s no charge to view the lights, except a $5 parking fee; shoreacres.net. This exceptionally cute peninsula town with Victorian architecture hosts a variety of events from Nov. 25 through New Year’s Day, from Saturday farmers markets to train rides and a gingerbread contest. Enjoy a parlor tour of different Victorian-style homes decorated for Christmas before attending the annual 21-and-older, steampunk-themed Big Brass Yule Ball on Dec. 16, with a brass swing band playing late into the night; ptmainstreet.org/holiday-promotion. Snow is a fundamental building block of the holiday season and Winthrop, in Okanogan County’s Methow Valley, has a lot of it, which makes it a hot spot for outdoor snow sports. 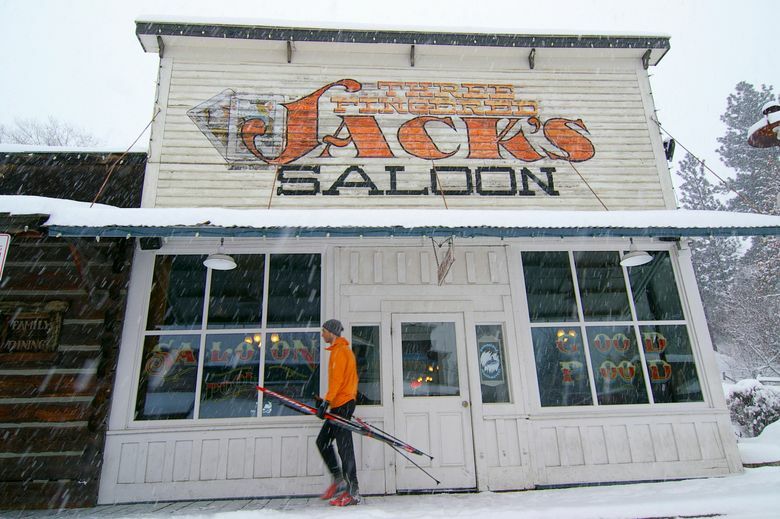 Go cross-country skiing, fat biking, ice skating, sledding, snowboarding and snowmobiling, all within a snowball’s-throw of the Old West-themed town. What Seattle lacks in snow, Winthrop usually makes up for; winthropwashington.com/things-do/winter-recreation. Lake Chelan isn’t just a summer destination. 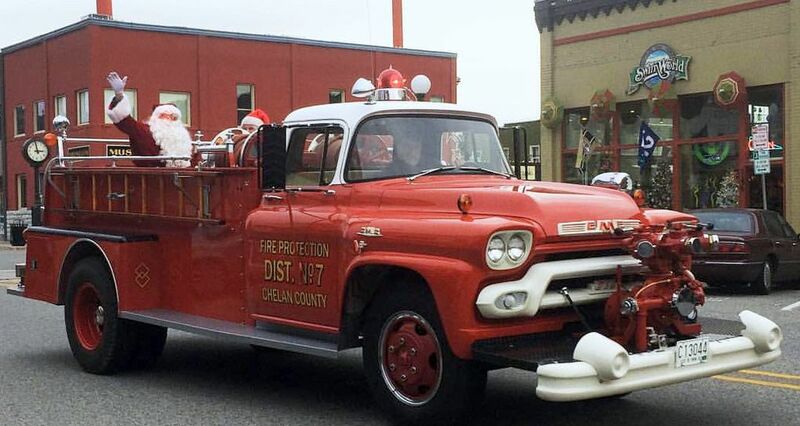 The town of Chelan has a flurry of events planned in the coming month. “Small Town Christmas in Historic Chelan” brings together the community starting Dec. 1, with the Chelan High School band playing classic Christmas tunes at the tree lighting. Dec. 9, the town puts on an indoor snowball fight, with 500 pre-made snowballs, snow forts and a slide. Other events include weekend shopping bazaars and breakfasts with Santa; historicchelan.org and lakechelan.com. 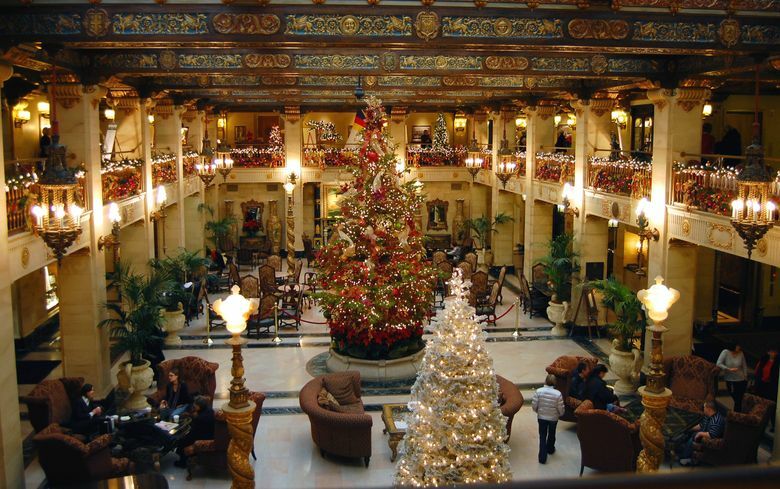 Spokane has a long list of free activities this holiday season, such as a raffle to win one of the elegantly decorated trees within the historic Davenport Hotel. Take a walk through the sculpture park, browse art galleries, or take a free holiday carriage ride. 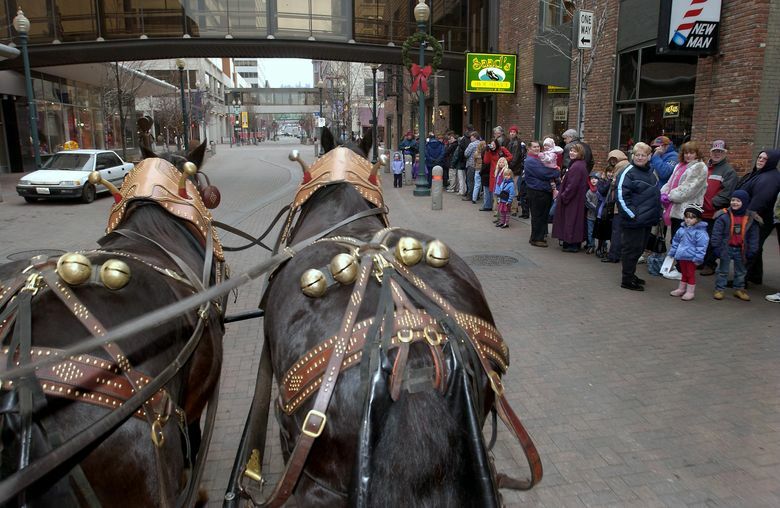 Horse-drawn carriages tour downtown every weekend from Nov. 24 to Christmas; downtownspokane.org.